What makes your day happy? Well, we certainly know what doesn't, a kinked hose when your trying to get the job done. 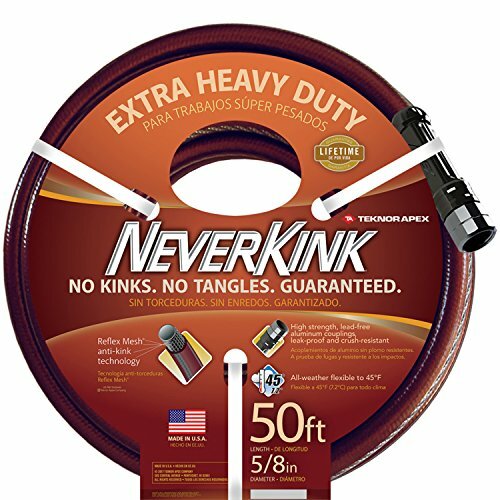 Made in the USA, our Teknor Apex Neverkink hoses are guaranteed to not pinch off your water flow (or your happiness). This hose features outstanding durability and is easy to maneuver around any lawn and garden project. With advanced flexibility down to 45 degrees, hose performance is not compromised in cold temperatures. Don't let your hose hold you back from a job well done. If you have any questions about this product by Teknor Apex, contact us by completing and submitting the form below. If you are looking for a specif part number, please include it with your message.